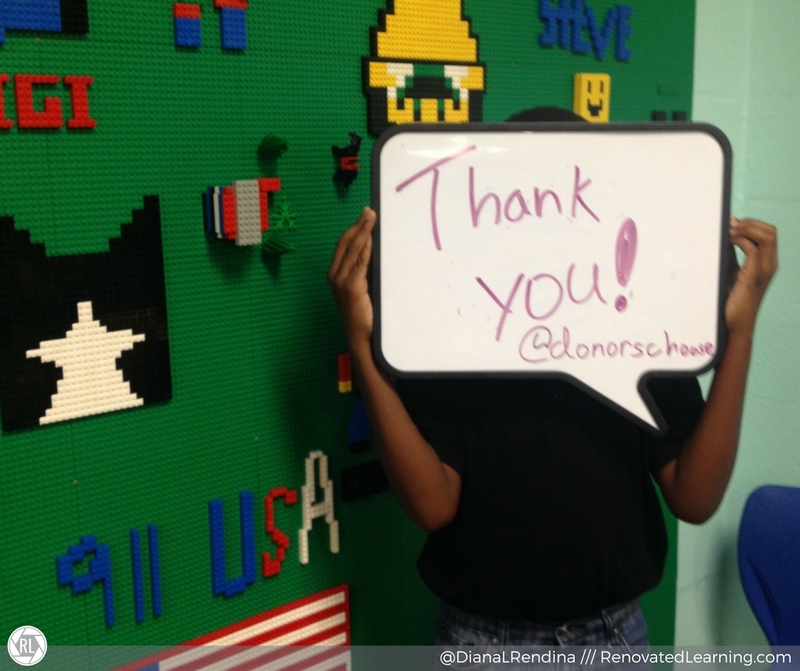 My first experience with DonorsChoose was in 2011. They had a promotion with Starbucks where gift cards were given out to patrons to spend on projects. I had several successful projects at that time, but I didn’t really use DonorsChoose much again until 2014. It was around the same time that I started becoming more of a connected educator; reading blogs, building my Twitter PLN and discovering other like minded educators led me back to this amazing resource. I started creating projects and mobilizing donors, and I haven’t looked back since then. As of September 2016, I’ve raised over $13,000 through 20 funded projects. With budgets being slashed left and right, this is an essential resource for educators looking to do something new and innovative in their schools. Note: I’m assuming at this point that you already have a DonorsChoose account set up and are familiar with how they work. 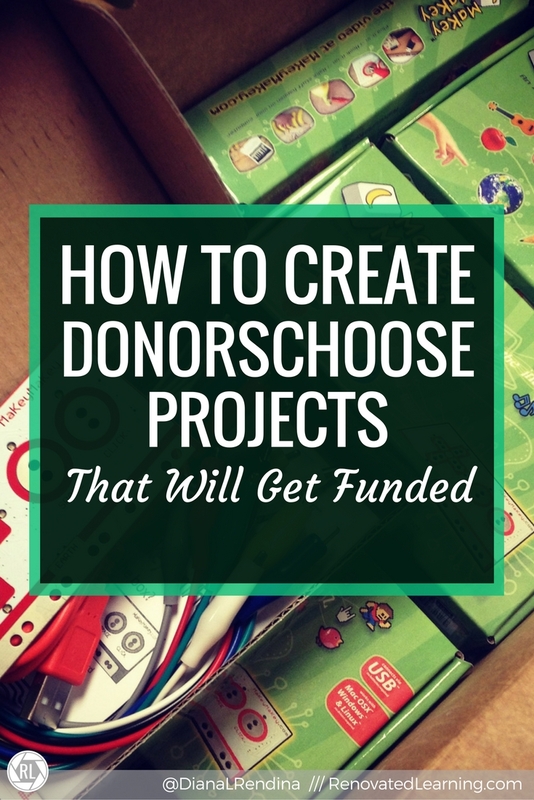 For the basics of how to submit a project, check out this PowerPoint from DonorsChoose. Legal Disclaimer: I can’t 100% guarantee that if you follow all of my advice, your project will get funded. I cannot be held liable for projects you create that aren’t fully funded. Start by looking for posted projects similar to what you want to do. As they say, there’s no need to reinvent the wheel. If you have an idea of what you want to do (tinkering station in the library, after-school yoga club, lunch-time sewing group), search for projects that are doing the same thing. Look at their essays and materials lists. Many times, this will help you to get a good idea of which vendor to use for a project. Also, sometimes you might have an idea (like an arts and crafts cart) but you aren’t sure about exactly what items to get. Finding a similar project can help you get started. On your projects page, there is a link at the top that says “find match offers”. This will take you to a list of current match offers for projects in your state. Check out the list – there’s bound to be something that you can work with, even if it wasn’t your original idea. For example, in 2014 I knew that I wanted supplies to get my library’s Makerspace started up. Disney was offering a match for projects that involved hands-on learning about the environment. I was able to create a project where students would learn about renewable and alternative energy through lessons with Snap Circuits Alternative Energy kit and a K’nex Renewable Energy set. Disney matched my project, and we got our supplies. Hasbro had an offer to match projects where 50% of the supplies were Playdoh; we made a project for supplies for our MaKeyMaKeys and got funded in a couple weeks. If you’re pursuing a match, make sure you check out other projects that received this match to see what they’re funding. A cautionary word: Be careful not to stretch your concept too far. I tried to get a physical fitness match for our Hokki stools based on the fact that they allowed movement in class and I didn’t get it. It took a lot longer to fund that project since we didn’t get the match. 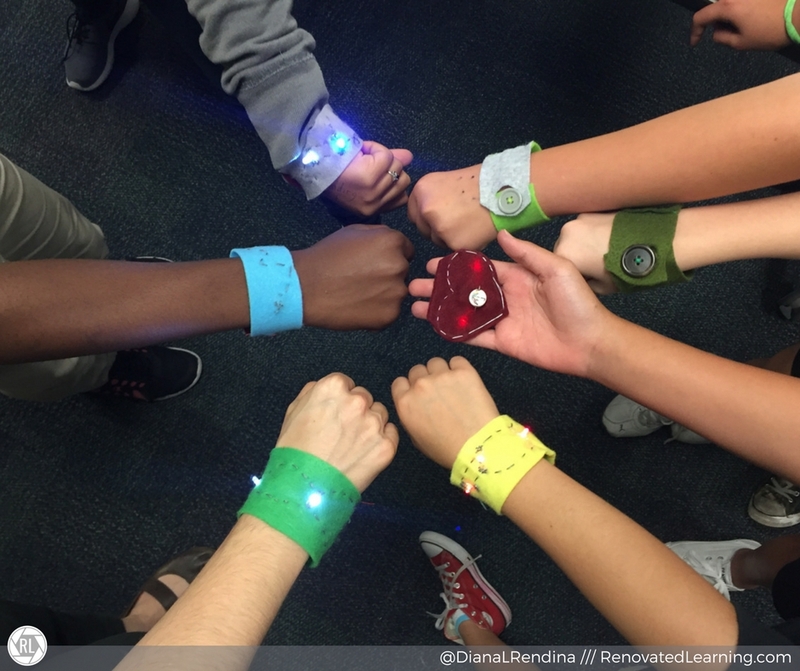 We funded consumable materials to make circuit bracelets through DonorsChoose. I have had some larger projects (over $800) funded, but it took a lot longer to raise the funds and it was hard to keep the momentum. Smaller projects get funded much faster (at least below $500, better yet below $300). From a donors perspective, it feels like you’re making a much bigger difference to donate to a project that only has $300 to go than one that has $1000 to go. You can always break up a larger project into smaller chunks. Once you have your project up, it is essential that you market the heck out of it. Sometimes DonorsChoose will have special match offers during the first week. Get a donation up there right away – I will often donate $10 to my projects on the first day just to get the ball rolling. Consider giving $10 to your parents or to your best friend and ask them to donate too. Projects with recent donations tend to show up earlier in search results. Make sure you let your school parents, PLNs and friends and family know that your project is going on. Post to Twitter. Connect DonorsChoose to your Facebook page. Send out an e-mail/text message/call home to your school’s parents. Get over feeling like you’re begging for money. You’re not. 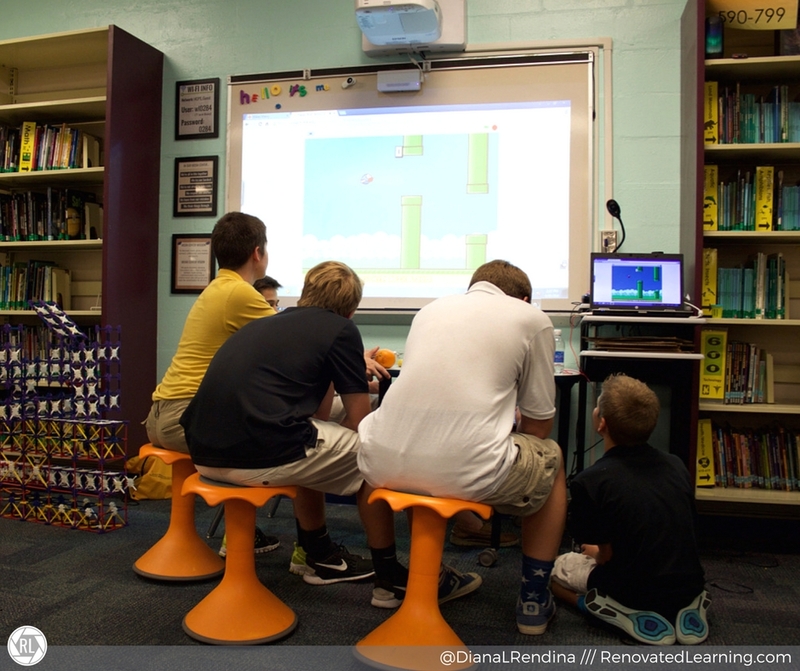 You’re offering others the opportunity to play a part in helping improve the educational experiences of your students. People value that. When they see your passion to help your students, they want to help you. 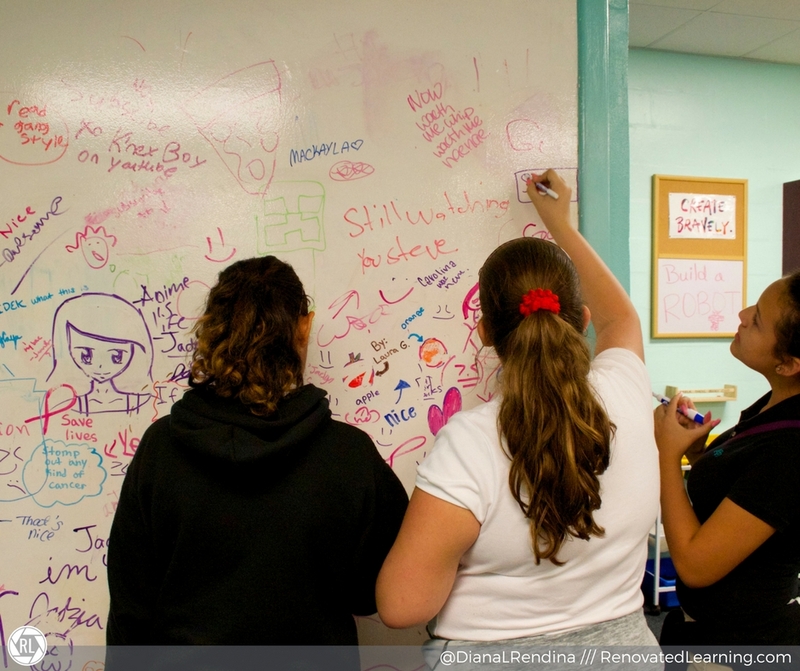 What are your favorite tips for having a successful DonorsChoose project? What materials have your students received through them? Thank you so much for this blog post Diana! It really helps & I heart your graphics! I haven’t done one of these Donor’s choose thingys. I’m probably like the last one! But I was intrigued after I helped fund Jennifer LaGarde’s 3D printer last summer! I felt such joy in helping out a friend and a school. I used to have 18 Apple computers in my school library – Like almost an Apple history! https://flic.kr/p/pQhC2T In 1997 we had PowerMacs 5200’s, then blueberry iMacs, then eMacs – now I only have 4 left….and they’re my PACs! I really would like at least 4 iMac desktops to do iMovie editing, video production, and graphic design. I know that’s not considered cool anymore w/ the awesome Makerspace movement – but dag, it’s what I want. Heck, after reading your blog post & the advice about not to go over $1000. Le sigh. What do you think? It’s too much $$ for donor’s choose, right? But thanks again SO much for such an inspiring and informative blog post! We had the blueberry Macs when I first got to my school – I kind of wish we still had them, they looked so cool. I think that iMacs for iMovie editing is awesome and definitely fits in with the Maker Movement – the idea is to get kids creating and designing, and digital creations count too. 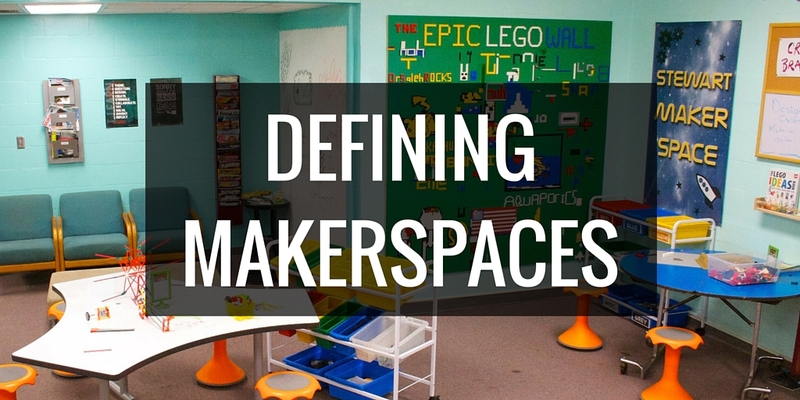 I’ve seen lots of cool video production Makerspaces that teach kids about storyboarding, green screening, etc. Getting four Macs at once might be more doable with a grant, but you could definitely consider doing some DonorsChoose projects for them one or two at a time and eventually getting four over the course of a couple projects. Since you already have a supportive school and such a huge and amazing PLN, you can probably get away with funding some larger projects ($1000+). 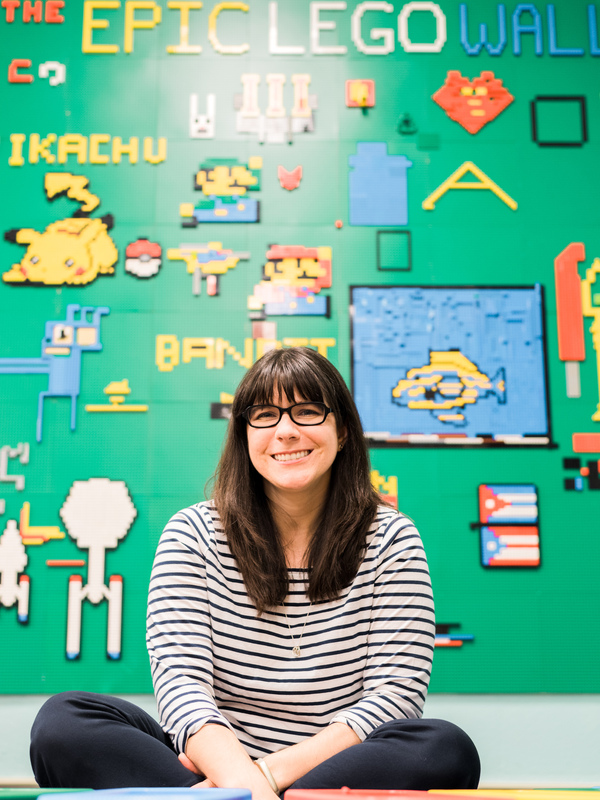 Tiff was able to fund her Makerspace project in one day because of all the support she has. Thank you so much for your great advice! I shall speak with my Admin & mull it over. that the newest technology in the school is used every day, every week, for standardized tests?